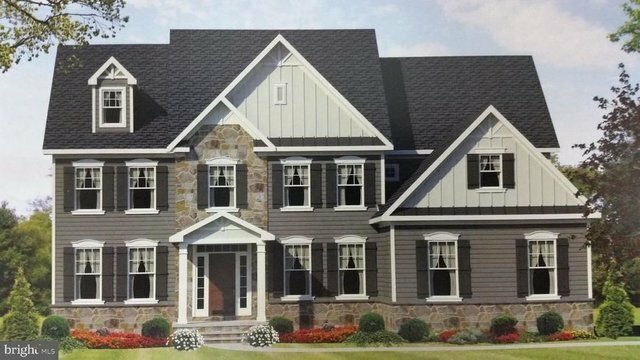 Single-Family - BLUE BELL, PA Magnificent New Custom Construction by Better Living Homes Inc. Photos are only an example of front elevation and interior with possible upgrade selections. Amidst lush woodlands of Whitpain Township you'll find a private new development Ashwood Estates offering the ultimate in privacy and luxurious living.... Rear lot only Front lot Sold. 2 New elegant estate residence are planned for construction along a quite and prestigious setting. 2 New stunning designs now being offered loaded with modern amenities, vaulted and open interior spaces throughout, gas fireplace in the great room. 2 Panel interior doors, rich hardwood flooring, Granite center island kitchen equipped with stainless- steel appliances package gas cooktop range, microwave, double oven & dishwasher. Quality Century kitchen cabinets with 42 wall cabinets and spacious breakfast area, 1st floor study,9' ceilings on first floor. Lavish master suite on 2nd floor & much more. Look no farther for superior quality and fine craftsmanship that living well brings to mind in a very special setting in Blue Bell. Only 1 house remains to be built within this limited offering.... call for brochure today or meet the builder to review your house plans. Pictures are example of Builder's Quality Craftsmanship.